Dr. Scott Mortenson completed his undergraduate work at Northwest Missouri State University and then went on to graduate from the University of Missouri -Columbia's College of Veterinary Medicine in 1996. He began his veterinary career in Illinois and then he and his wife, Dr. Sharon Mortenson moved to Greensboro in 2001, working at Pointe South Veterinary Hospital before purchasing Garden Creek Pet Clinic in June 2006. He and the "Mrs. Dr. Mortenson" have two children, two dogs, four cats, and two rabbits. Earl has been our clinic cat since 2006. 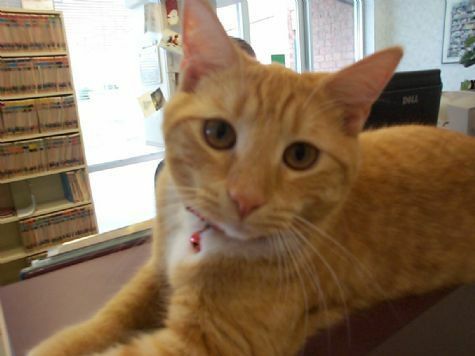 He was a rescue kitten and that stole the hearts of Garden Creek Pet Clinic.